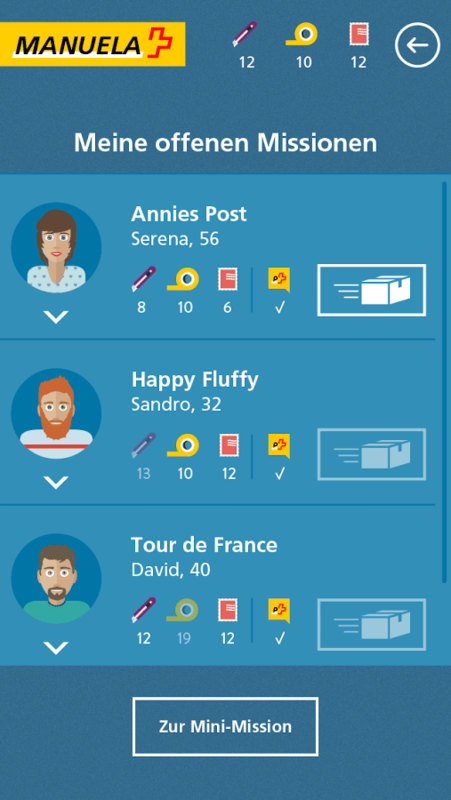 «POSTMAN» playfully shows you the many, new access points of Swiss Post (Die Schweizerische Post). 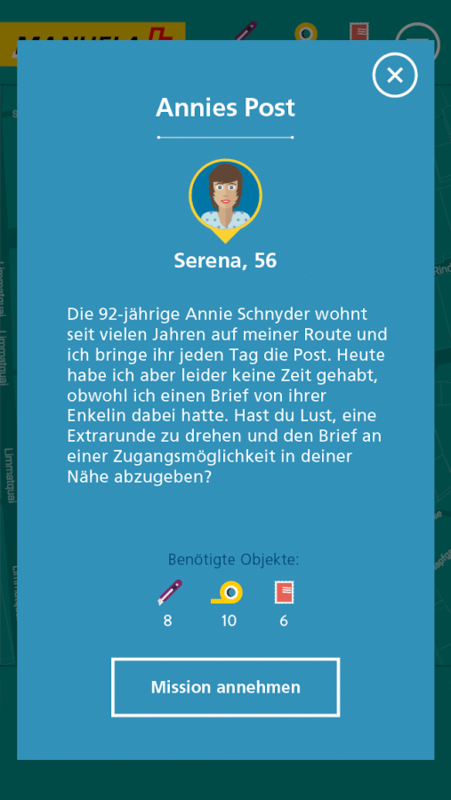 In various exciting missions, players experience adventures that are based on real stories of Swiss post employees. 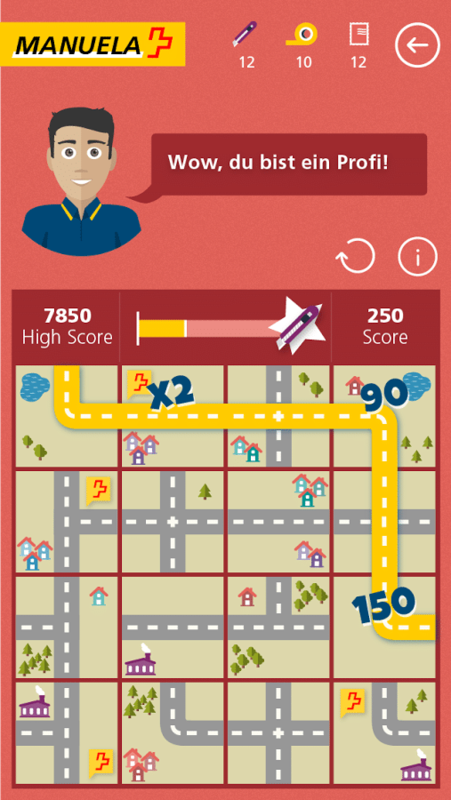 Players become a postman or postwoman and fulfill missions. In the game, the players move in the real world and collect resources and tools on the digital map to conclude a mission at a Swiss Post access point. With a little luck players get a package with one of 3,000 instant prizes in the game. Packages can also include so called Golden Tickets, which increase the chance of one of the main prizes raffled in September. The resources and tools can be collected not only by walking around in the real world, but also in a minigame that was exclusisely developped for the game. But beware: it’s addictive! 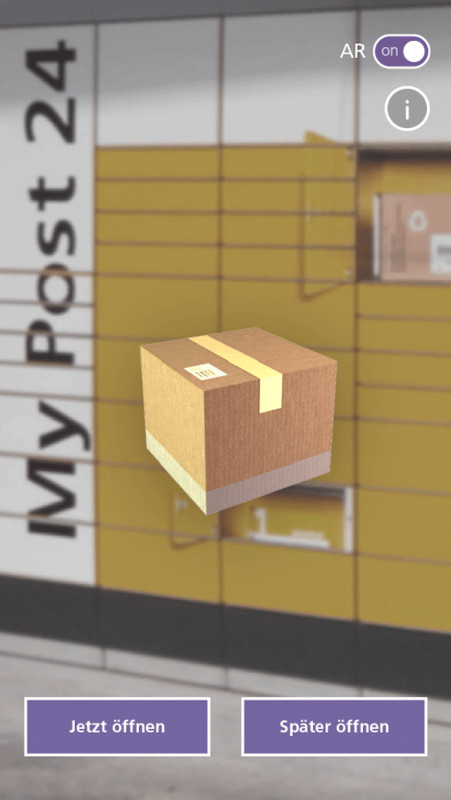 Within a few months, Gbanga (Millform AG) has realised the mixed-reality project «POSTMAN» commissioned by and together with Jung von Matt for Swiss Post. Exciting challenges offered the integration of map data, the implementation of an AR view and a screenreader functionality. The fair distribution of items to be collected, the missions that can be encountered on the map as well as the distribution of vouchers require a stable server infrastructure – where we again could profit from our many years of experience. 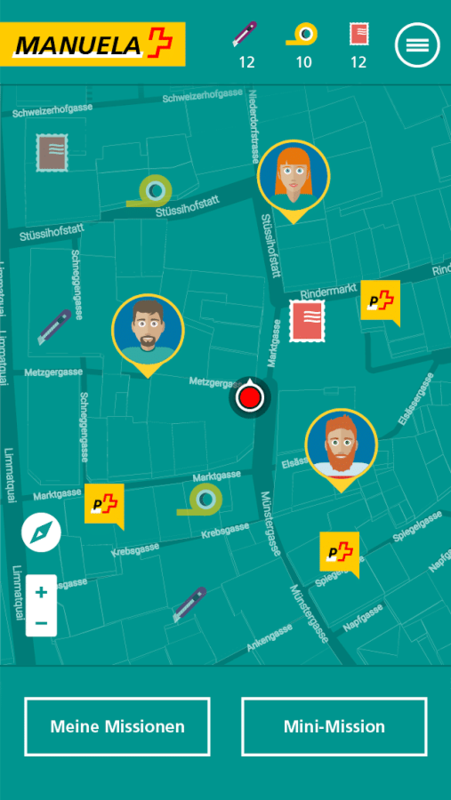 The map and missions part of the mixed-reality app offers accessibility trough a screenreader.